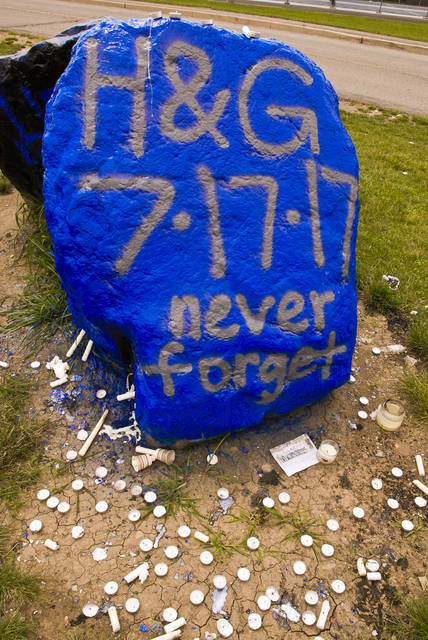 The rocks outside Olentangy Liberty’s track and football field are usually painted for cheering teams on to victory. Tuesday they were painted in the familiar school colors not to cheer, but instead to remember incoming seniors Gavin D. Schlotterbeck and Hunter D. McClelland. 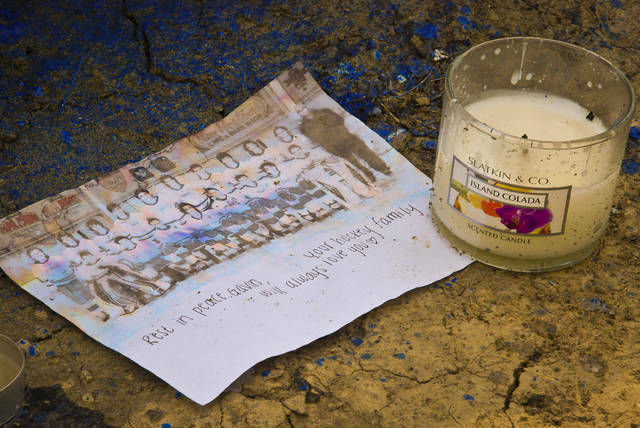 Around the rocks laid melted candles that had been lit in remembrance of the two students who were killed Monday morning in an auto accident. This entry was tagged delaware county, Liberty Olentangy, ohio, Rock. Bookmark the permalink.